Explainer: why do women menstruate? Only a handful of mammals aside from us – primates, some bat species and the elephant shrew – get their period. For half the population, it comes three to five days each month, 12 months each year, for 40 years of our lives. Menstruation can be debilitating, relieving, disappointing, or simply an inconvenient fact of life. But why do humans menstruate, when most animals don’t? When you shake the tree of life, you find that only a handful of mammals aside from us – primates, a small number of bat species, and the elephant shrew – have opted for the monthly bleed. Each month the uterus prepares a thick and luxurious lining in preparation for the arrival of a fertilised egg – an embryo that will develop into a fetus and after nine months, a full-term baby. 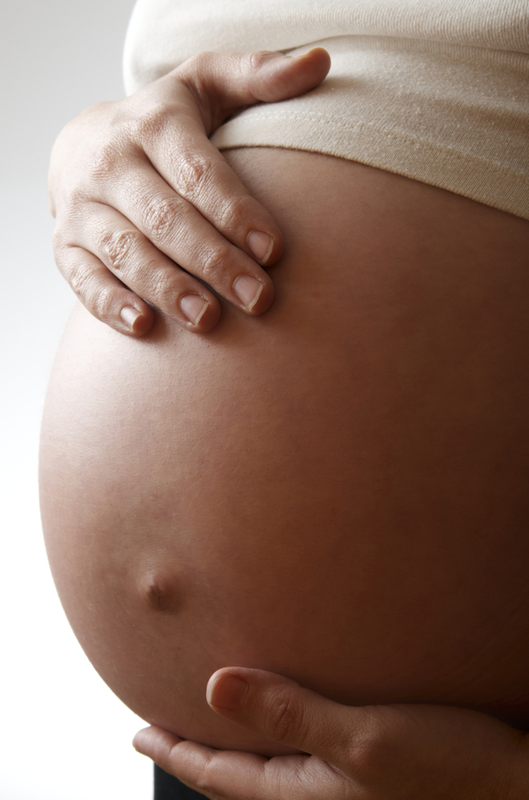 If no embryo arrives, there will be no pregnancy and menstruation sheds the thickened lining. Evolution is often viewed in terms of a cost-benefit ledger: if something is costly, it must have some benefit. Women lose over half a standard glass of wine’s worth in iron-rich blood and tissue – about 90 millilitres – each time they menstruate, so the process does seem quite costly. And in the predator-filled environs of our early ancestors, leaving a trail of blood was presumably not advantageous. So how did menstruation arise? Over recent decades, evolutionary biologists have come up with three key theories to explain human menstruation. 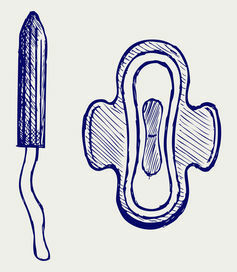 One controversial theory, proposed in the 1990s by self-taught biologist Margie Profet, suggested menstruation was a cleansing mechanism. Being the amorous species that we are, human females require a mechanism to regularly flush out the infection-laden sperm that gathers from our sexual conquests. 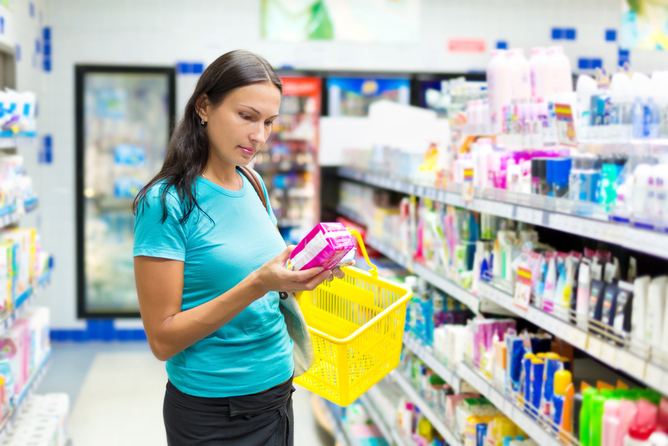 Most women go through 450 to 480 menstrual cycles in their lifetime. This argument was soon found to have more than a few flaws. For a start, women are more susceptible, not less, to infections such as chlamydia and gonorrhoea during menstruation, as the cervical mucus thins out. The iron-rich blood also serves as an attractive food source for Staphylococcus aureus, of tampon-associated toxic shock syndrome notoriety. And there is no correlation between level of promiscuity in us and our close primate relatives and heaviness of bleeding, as the theory predicts. A more plausible explanation for menstruation is that it evolved to accommodate the peculiar way in which human embryos embed into the lining of the uterus – the endometrium – during pregnancy. In some mammals with a placenta, a fertilised embryo attaches to the endometrium only superficially. In humans and other menstruating species, implantation is deep and invasive, and requires an especially luxurious lining to develop in preparation for implantation. While other mammals are able to reabsorb the lining that adorns their fertile womb, the volume of tissue in humans is too great, so if no pregnancy ensues, it is expelled instead. In the evolutionary cost-benefit analysis, building up the lining only when a pregnancy is on the cards – only when we ovulate once a month – could be less costly than maintaining this expensive lining indefinitely. Somewhere along the human evolutionary path, the dialogue between embryo and uterus shifted, so that the signals causing the endometrium to thicken came not from the embryo, but from the mother herself. Instead of being linked to the presence of the embryo, uterine thickening became linked to ovulation and the choreographed hormonal up-and-down that each woman cycles through on a monthly basis. But what’s with all this pre-emptive pampering? Not all mammals prepare for pregnancy so hopefully each month. Rabbits, for example, only ovulate and thicken their endometrium when they copulate. American evolutionary biologists Deena Emera, Roberto Romero and Günter Wagner argue that the spontaneous thickening of the uterine lining is in fact a defence mechanism. Except the defence is against our own parasitic offspring, rather than sperm-borne infection. Since mother and child do not share identical genes, their purposes are at odds. From the embryo’s perspective, the maximum benefit is gained from squeezing as many resources from its mother as possible. It even dampens its mother’s response to insulin, ensuring that a greater slice of the circulating sugar pie is placenta-bound during its nine-month residence. The mother, meanwhile, prefers to be frugal with her resources, so that she can survive this pregnancy and go on to populate the next generation with additional children endowed with her unique genetic contribution. 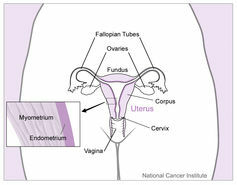 There are two reasons that this maternal–fetal tug of war could have resulted in spontaneous thickening of the uterus. First, with implantation already invasive in humans and other menstruating species, the pre-thickened lining could be an evolutionary push-back to prevent the embryo from burrowing even deeper into the uterine wall. The second reason is to protect the mother from expending valuable resources on faulty fetuses. The thickened lining could be an efficient way to sense – and if necessary, jettison – any tainted, and therefore unwanted, embryos. Around 30% to 60% of all human embryos are unceremoniously discarded in this way, before any signs of pregnancy occur. While its evolutionary origins are firmly rooted in what takes place during pregnancy, the reality is that for most menstrual cycles, no embryo arrives. The decidual cells that have thickened the uterine lining pack up shop, the extracellular matrix keeping them all together breaks down, and the lining becomes as deciduous as the autumn leaves. For Western most women who bear few children, this menstrual cycle is repeated 450 to 480 times over. Posted on June 30, 2013, in Uncategorized. Bookmark the permalink. Leave a comment.